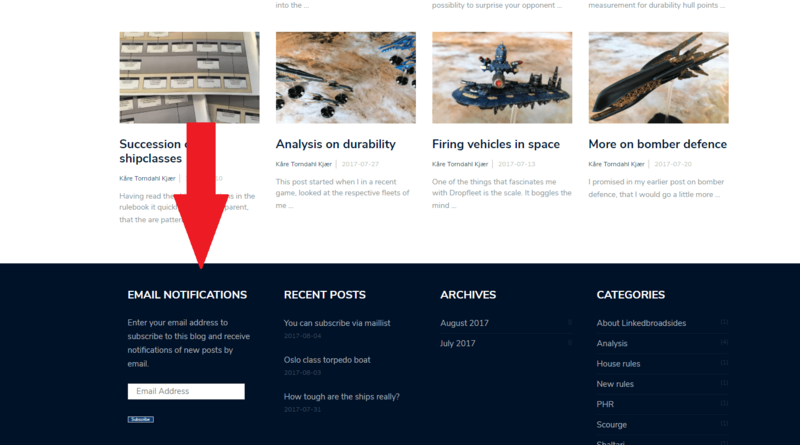 Normally, I post Mondays and Thursdays, but this time i make an exception to inform you that if you are fond of my ship musings, you can subscribe to new posts. At the attached image you can see where this is possible. In that manner you do not need to rely on seeing posts on facebook or remember to check by – you get information in your inbox when a new post appears.